Our most popular interior complete with a column of adjustable shelves, a top shelf, all battens & shelf supports and ample hanging rails for double hanging throughout. This utilises all your space. The Column Tall boy of adjustable shelves sizes are: 2040mm high x 400mm wide x 500mm deep. 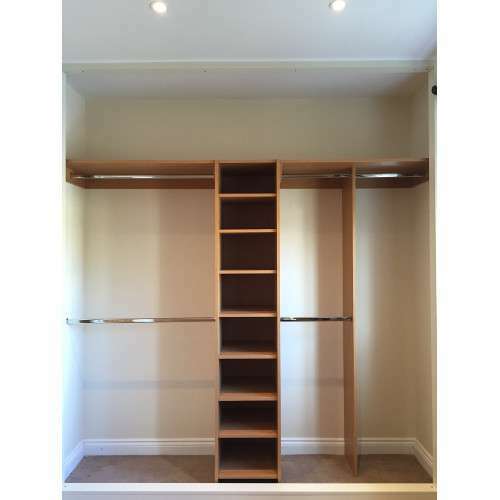 This package includes the column of adjustable shelves, top shelf over size, supports, hanging rails over size and sockets for you to design and fit to suit your requirements on site.